The end of 2002 brings yet another revival of the man who brought us the always beautiful 'Children' which took the world, and Oakenfold apart when it came out several years back, and this time Roberto has an album.. The highly accepted Perfecto Collection triple CD set which came out during Spring of 2002 has led to this 2nd masterful double compilation from Perfecto. 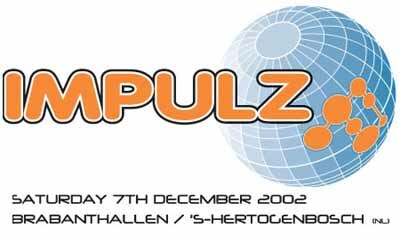 One of Holland`s biggest events, Trance Energy run by ID&T has announced the venue and date for the first helping in 2003, find out here where has been chosen! i:Vibes congratules master trancer John Fleming as he recently tied the knot in style with his long time girlfriend. The much talked about Nu Nrg Remix of Three Drives' latest production is finally coming forth on Vandit after its initial release over 2 months ago. Mike James is relatively unknown to most. The Belgian born Dj is gradually climbing up the ladder, to continue thw work of people like Marko @ LA Rocca. Mike has set out to bring several sets broadcast live on Laser Hot Hits - to further enhance his reputation - and to give out a blend of the finest, most cutting edge music available. Smithmonger is the latest Australian to hit Britain with a new track out soon on the reputable TCR label - home of Rennie Pilgrem - and many other breaks legends. Smithmonger (AKA Paul Smith), has received support from many areas - and has had notable releases on 'Safety In Numbers' and Oblong ect. Yet again we bring you the monthly top 20 - that have been keeping the boxes warm for the Hooj boys. 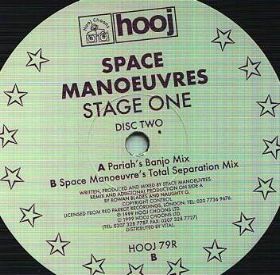 This month it features a slightly morew progressive edge - which chart toppers such as: Space Manouevres, Blackwatch, New Order - and an old favourite back in at number 1! From the Record label that bought you such classics as Pulser - Cloudwalking, Goldenscan - Sunrise, and Insigma - Open Our Eyes: ATCR now has something very special instore for 2003. 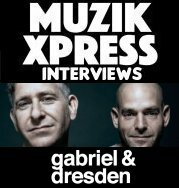 Ministry of Sound's dance magazine is shutting down amidst a poor economy and lack of sales, following in the footsteps of another dance magazine '7'. John Graham finally delivers the follow up for the immense popular track ´Stage One`, that got hammered by about everyone who walks on this planet. 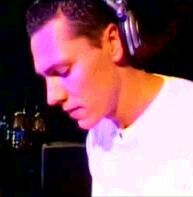 Being voted the best DJ in the world, Tiesto wont stop remixing and producing and now he adds Sasha & Junkie XL to his remix list. Trance guru John Fleming has a bit of news which will please his fans out there, after his recent collaboration with belgian M.I.K.E., John has a few things lined up for us, including a Trance Band???? The ever so successful Euphoria series is back again, and this time Matt Darey is putting his skills to mix this release which brings back some of the finest of the past few years. Ferry Corsten has been busy lately and he churns out this latest remix of one of Japan's biggest hard trancers at the moment, the crazy Yoji Biomehanika..
Amidst rumours, this track has been confirmed for a release on vinyl, on a somewhat surprising record label, due out very soon. Earth will celebrate their 3 year anniversary with a smashing progressive/house party in the hart of Holland: Amsterdam. Misja Helsloot & Roland K teams up to produce the official anthem for the latest Impulz event taking place in December, bringing together 25,000 people in the heart of Holland.